The Chubbsafes ForceGuard cabinet size 4 is a multipurpose cabinet for the storage of cash and valuable bulk items and has a recommended cash rating of £2,000. It is fitted with a Class A EN 1300-certified key lock, supplied with 2 keys. Anchoring points at the base of the cabinet ensure that it is secured onto the floor. A re-locking device is installed as well thereby providing additional protection against forced entry. 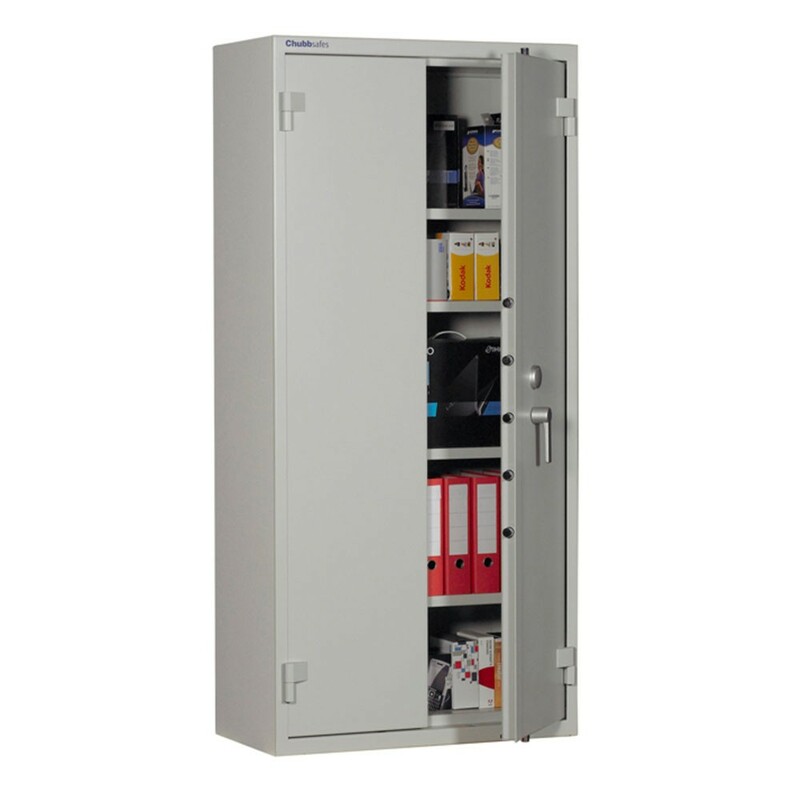 The Chubbsafes ForceGuard cabinet size 4 is made from a 3mm single-wall steel body, 52mm thick steel door which allows a swing of up to 180 degrees and has 20mm diameter steel locking bolts.